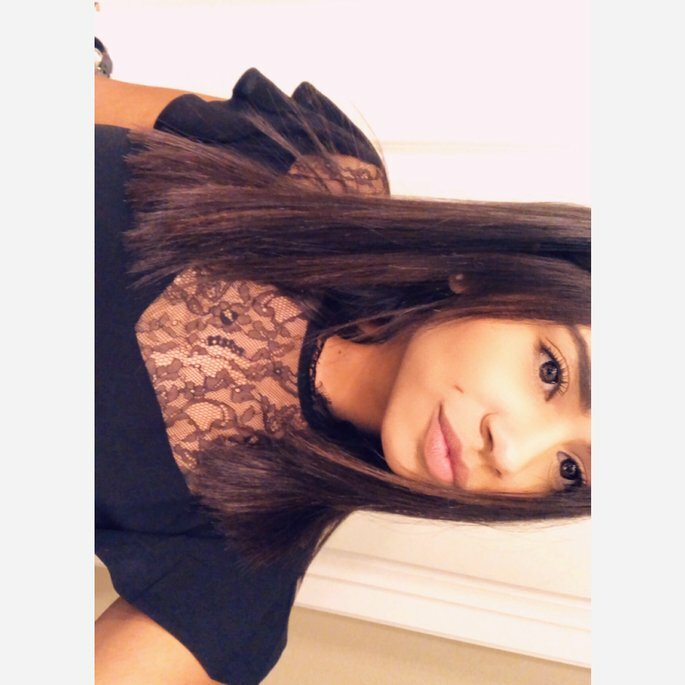 Ser feliz es del alma. The wand of this mascara is perfect for how I like to apply. I tend to tug outwards to make a feathered out effect with my lashes, and the bristles are great at getting the shape you want. The formula is great too. My look never seems to deflate. The cons are that it might have a tiny bit of fallout, and that wand might be too fat for your bottom lashes, so you may want a simpler mascara on hand for that reason. The water proof formula is great. My eyes water a lot so I don't have to worry about looking like a the bassist of an emo band while I go about my day. Because it's water proof, however, you can't just splash your face with unicorn wishes and expect it to go away. Just get some cold cream and gently run the pad of your fingertip over your lashes to break down the product, and then thoroughly wipe off the cream with a clean wet wash cloth. Just be gentle with your lashes and they won't fall off. Any leftover mascara will just be a smudge on your lower lash, and you can clean it with your tried and true methods. I have long eyelashes, but it isn't as noticeable unless they are curled. My lashes are also thin, and not too sparse, but I am not happy with the volume either. I look for a more volumizing mascara than lengthening mascara. My 1st time using it: If you are looking for a lengthening mascara that curls, then yes this it. 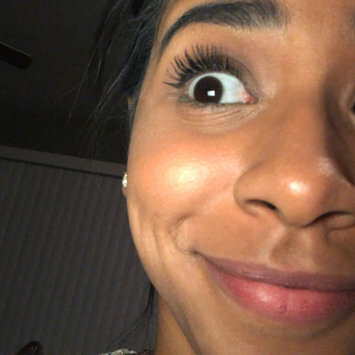 While I am already blessed with long eyelashes, this made my lashes so long they reached up to my eyebrows. They also curled my lashes effortlessly which I loved, because now I don't need to use a lash curler. However, I have very thin lashes, and this didn't exactly give me the volume I was looking for. On the contrary, this mascara actually made my lashes look less voluminous, because my lashes started sticking together. 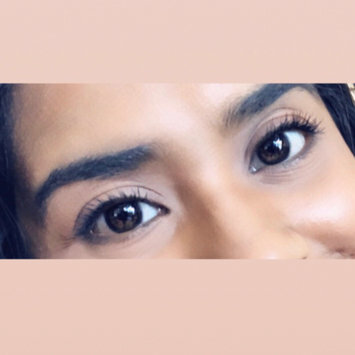 My 2nd time using it: While I was mildly disappointed with looking like I had fewer lashes than I would if I had went all natural, I was impressed with the formula of the mascara. Is very hydrating – it often slips my mind to apply body lotion after my morning shower, and I have found this body wash helps to retain moisture in my skin. If I’m in a hurry, I can skip my body lotion without having to worry that my skin might look dry and ashy. Plus the creamy feel and fragrance lingers softly throughout the day! A few months ago I moved to Utah where the weather is very cold. I used to life in a warm weather so the change really affected my skin most part was in the face and it was very stressful for me because I never seen this before so I didn’t know what to do. 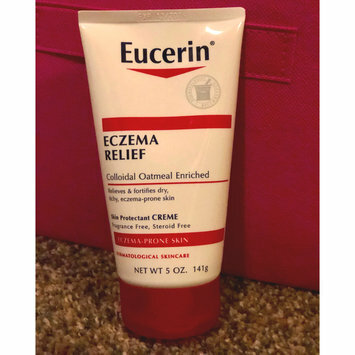 Someone told me to buy Eucerin Eczema Relief because it would help to recover those eczema’s in my face. So all I have to say this product IS THE BEST! I love the fast relief of itchy Eczema, it has a quick absorption and overall great performance of use on a daily basis. Now my skin is feeling smooth and is getting better every day. I highly recommend this product because it save my face.